When it comes to trade access for our farm produce, it has long been agreed that there’s just one position to hold: more is better. But as negotiators and lobbyists gather in Auckland for the next round of the TPP talks, it’s becoming increasingly clear that, at least when it comes to the dairy industry, that might no longer hold true. There are at least three reasons for pausing in our never-ending quest for more and better markets, the holy grail of which has long been a deal to open up the United States to our dairy produce. The first is whether we actually need it (a question rarely asked); the second is where all the extra milk will come from (hint: cows); and the third is what we might have to give away in order to get it. (For more on that, see Gordon Campbell’s TPP: Into the cave of dreams). 1.Do We Need It? We’ve come a long way since the national panic that broke out in the 1970s when Britain joined the European Community and began weaning us off our special dairy access. Necessity, it turned out, was indeed the mother of invention, and our dairy industry spent the next decades building a formidable global empire. So formidable in fact, that even though New Zealand is responsible for less than 3 percent of global milk production, Fonterra – with partnerships and enterprises stretching from Chile to the United States to China – is now the world’s biggest processor of dairy products, while here at home dairy makes up more than a quarter of our total goods exports – up from less than 15 percent two decades ago. Thanks in great part to that dairy empire, there are no butter mountains – or milk ponds – of New Zealand produce looking for a market. Or, to put it another way, we’re selling pretty much every drop of dairy we produce. Based on figures from the United States Department of Agriculture (which keeps much more accessible stats on the New Zealand dairy industry than we do), a solid chunk of that produce is already going to the U.S. In fact, the very same U.S. that we’re so intent on cracking open even wider already takes 7 percent of our dairy exports, making it New Zealand second biggest single dairy customer after China, at nearly 20 percent. American trade data also show that there is room in the U.S. market for more New Zealand product even with the current trade restrictions. (From the U.S. side, New Zealand is its largest single external supplier of dairy produce.) Fonterra’s own 2012 Annual Review points out (in a section on its push to produce milk in China and Latin America) that “demand in global markets far exceeds what we can produce here in New Zealand”. While these factors don’t necessarily add up to a case against striking a deal with the U.S., they certainly raise questions about just how much we should consider paying for it. The U.S. market might still be a big prize, but it’s no longer one by which New Zealand’s dairy industry will live or die. Simon Tucker, a former strategy manager at Fonterra, and now the chief of policy and advocacy at the industry group DairyNZ, acknowledges that New Zealand doesn’t necessarily need to send bigger volume into the U.S. in part because of its focus on the fast-growing demand from Asia-Pacific and the Middle East. But he argues that doesn’t count against the broader benefits of the kind of free trade deal he sees the TPP as possibly delivering. But adding weight to the scepticism about whether we should be putting anything on the line for more U.S. access are Fonterra’s own forecasts of a global rise in demand for milk of 100 billion litres in the next eight years, 5 billion litres of which is suggests could come from New Zealand farms. 2. Where Will the Milk Come From? That forecast speaks directly to the second question that surrounds New Zealand’s “more trade” mantra: where’s it all going to come from? Or, put another way, where are we going to put all those cows, and is our dairy trade strategy based on turning as much of the country as possible into a dairy farm? The last part of the question is only partly facetious. Figures from DairyNZ show that the dairy cow population of New Zealand has more than doubled in the past 30 years from around 2 million to 4.5 million. Those extra 2.5 million cows have taken up more than half a million extra hectares of land, with a total of 1.6 million hectares now being farmed for dairy. So just how many more cows and how much more land would it take for New Zealand to produce 5 billion extra litres of milk? Back-of-the-envelope calculations suggest an increase in the dairy herd by more than a million cows would be needed, supported by almost another half a million hectares of new dairy farming land. Industry trends indicate this extra land and those new cows would be unlikely to be in the hands of smaller family farmers, but bigger corporate entities running ever larger herds. Much of the industry’s expansion is coming from consolidation and farm conversions to dairy, particularly in the South Island. That expansion in turn is raising tensions over water use and pollution, and not just with city dwellers. On the pollution front, the farming industry continues to insist it is committed to sustainable farming, yet its major lobby group remains fiercely resistant to what it likes to call “heavy-handed regulation”. Federated Farmers president Bruce Wills made that position clear in an article in The Bay of Plenty Times in October in which he said he had “seen no evidence that heavy-handed regulation actually improves water quality”. Tackling farm pollution, he insists, should be voluntary. This approach has been largely endorsed in the Land and Water Forum reports, the most recent of which was issued earlier this month. Just how poorly that voluntary approach is serving us, however, was made clear in October when the Environment Ministry’s released its report card on freshwater swimming spots. It showed that a full 45 percent of monitored freshwater beaches failed the safe-to-swim test – that is, were graded “poor” or “very poor”. The grades are based on faecal contamination and though farming – in particular dairying – isn’t the only culprit, the best rule of thumb from officials is that if your swimming hole is downstream from a farm, stay out of the water. Without environmental regulations, and with many thousands more hectares of dairy farmland on the horizon, the outlook for the wellbeing of our fresh water is not rosy. The often-uncritical commitment to making a dairy deal with the U.S. is just one chapter in a growth-at-any-cost playbook that more commentators are starting to question. In a Sunday Star Times column this month, economics writer Rod Oram argued that the government’s drive “to produce more of everything at lower cost” threatens to undermine the very activities it is ostensibly trying to support. It’s a strategy, he wrote, that is “delivering two deeply damaging outcomes – weak growth and environmental degradation”. That lobby is just as fierce, if not more so, when it comes to New Zealand dairy. Because trade deals must be ratified by Congress (unlike New Zealand where MPs are essentially just facilitators) and so are highly politicized, U.S. trade negotiators are unlikely to give up such an important prize without extracting something significant in return. A recent report in the journal Inside U.S. Trade pointed out that while U.S. and New Zealand negotiators had essentially concluded talks on goods market access, they had “barely engaged at all” on the “sensitive issue of access for New Zealand dairy exports”. 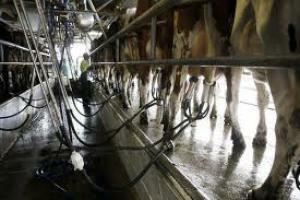 So far, the U.S. industry has consistently opposed even putting the New Zealand dairy issue on the table. 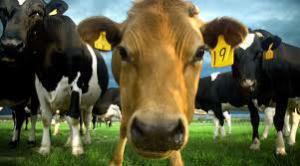 In 2010, the industry’s boosters in Congress, the Congressional Dairy Farmers Caucus, wrote to the U.S. Trade Representative Ron Kirk, backing the dairy lobby’s opposition and warning that additional imports from New Zealand would have “tremendous” negative impacts on the U.S. industry. “Specifically, estimates indicate that unfettered dairy trade with New Zealand would send milk prices received by our constituent producers even lower and that gross revenues received by American dairy farmers would decline by $20 billion over a decade.” Interestingly, the caucus went on to note that specific exclusions, like New Zealand dairy access, were “not unprecedented, as sugar was excluded from the U.S.-Australia Free Trade Agreement”. Shawna Morris is the Vice President for trade policy at the U.S. Dairy Export Council and National Milk Producers Federation, which has lobbied hard against including New Zealand dairy access in the TPPA talks. Despite some commentators suggesting there’s been a softening from the U.S. dairy lobby – in part because of the growth in its own dairy exports – Morris is firm on the New Zealand question. Fonterra’s structure comes up over and over again in U.S. lobbying over New Zealand’s dairy access, the charge being, according to a briefing paper by the U.S. Dairy Export Council, that Fonterra “maintains its near-monopoly position due to special legislation in New Zealand that specifically exempted this one firm from the country’s competition laws”. It may not be appropriate, but that doesn’t mean they won’t do it. And as Morris’s comments show, the U.S. dairy industry doesn’t look like it’s going to shrink from its hard-line position anytime soon – or at least, not without getting something tasty in return. Some suggest a quid pro quo for the U.S. would be access for its dairy into the highly protected Canadian market, along with changes to what are known as “sanitary and phytosanitary” conditions. Inside US Trade reported in October that the U.S. dairy industry might agree to opening its doors to New Zealand dairy if those two conditions, plus a “long transitional period”, were met. If anything, though, those conditions make agreement look even less likely. Canada is not eager to open its borders, with Yves Leduc, the director of International trade at Dairy Farmers of Canada, telling Werewolf that his organisation wanted to maintain the current regime. “Canada has concluded a number of trade deals before and has successfully maintained our system in place,” Leduc said through a spokeswoman. New Zealand also needs to be extremely wary of that other item on the U.S. dairy industry’s list – the benign sounding “phytosanitary” issues. Put in less intimidating jargon, that’s bio-security and food safety, the protection of which a recent KPMG report on New Zealand agribusiness said was the top priority for industry leaders. If there’s one thing our isolation gives us, it’s a fighting chance in the bio-security war – something we should be extremely reluctant to compromise. Other than Milk. But New Zealand agriculture isn’t just about dairy, and the United States isn’t the only country involved in the TPP. Back before dairy stole the export show, focus tended to fall on the efforts to find markets for our beef and sheepmeat. Now, though, access for meat into the U.S. isn’t a big problem. 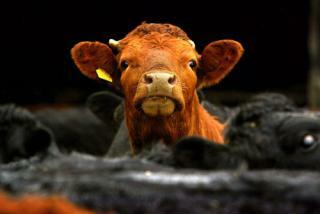 Like the dairy industry, meat producers have been shifting their focus to Asia. According to Tim Ritchie, the CEO of the Meat Industry Association, while the U.S. is still the biggest single market for manufacturing beef, taking more than 50 percent of our exports at one point, it has since fallen below that mark. In recent years, he said, the U.S. quota hasn’t even been fully taken up by New Zealand exporters, and we’re growing increasingly less reliant on that market. 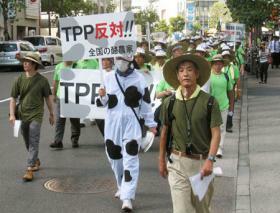 The big prizes for meat are Japan and South Korea, neither of which is yet a participant in the TPP, although Japan’s membership is in the wings. Ritchie says one area in which the TPP would be important to the meat industry was as a vehicle for restoring New Zealand’s competitive position with respect to Australia. As for horticulture, Simon Hegarty of the Horticulture Export Authority says that sector has yet to see an offer on the table. It’s not considered a highly sensitive sector, he says, so isn’t really a problem area for negotiators. Our biggest market, Australia, is one we already have a trade deal with, while the key markets in North Asia are Japan and South Korea and, again, neither is yet in the TPP. 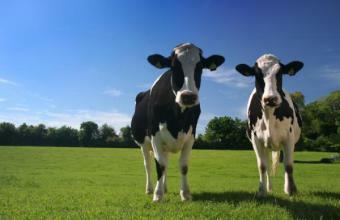 In the end, then, when it comes to agriculture, it all comes back to dairy. And that industry’s own successes, forecasts and strategies themselves make for a strong case against New Zealand giving up much of anything in order to win access to a market that we don’t really need and that, in the end, could cost us a lot more than it could ever give in return. Perversely, given the complexities and powerful interests involved in the dairy debate, those who oppose the direction of the TPP might find dairy to be the key to its derailment.